BRYAN EATON/Staff photo. 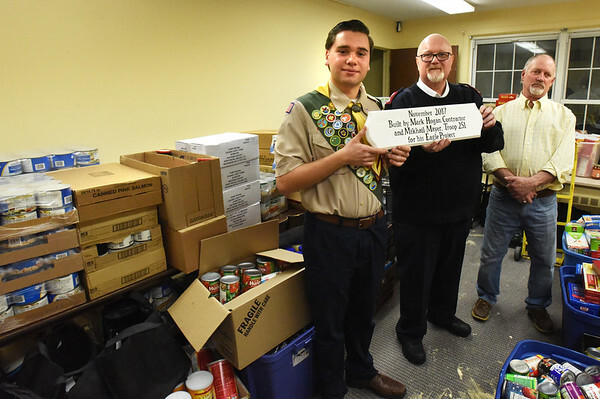 Mikhail Mayer, left, with the help of fellow Boy Scout Troop 251 members and contractor Mark Hogan, right, put up this wall at back to divide a larger room into two smaller rooms, one to be used as new space for the Salvation Army's food pantry storage. The scouts also painted both rooms and presented Major Todd Hughes with a plaque of their service.